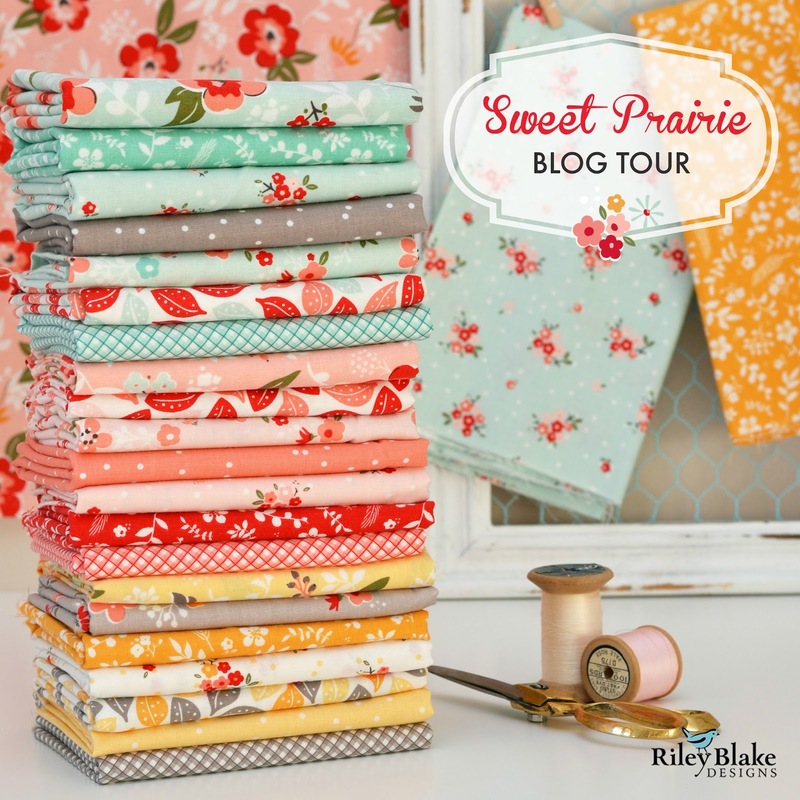 Today I have the pleasure of kicking off the blog tour for Sweet Prairie by Riley Blake. I love this fabric and was delighted to work with it. 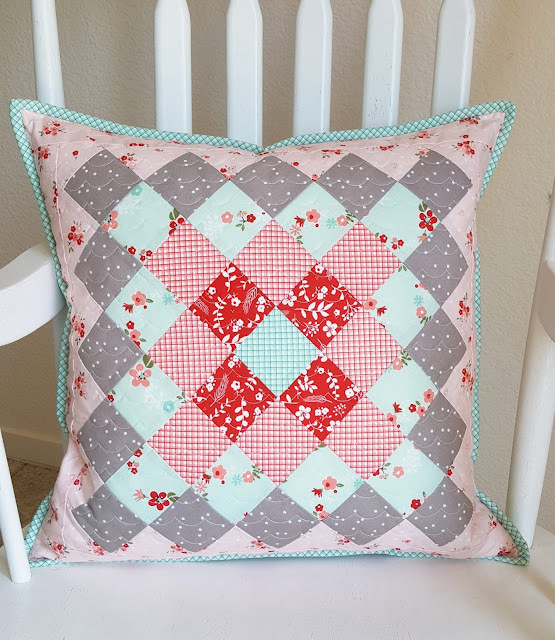 For a while I'd been itching to make some great-granny square pillows, so when Sedef of Down Grapevine Lane asked if I would make something for her newest line, I knew it was the perfect opportunity! Sweet Prairie is an irresistible mix of sweet and sophisticated. 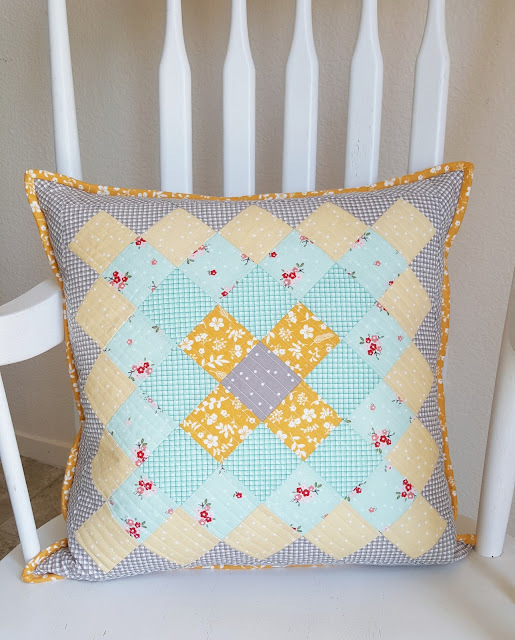 I made the same pillow in two colorways because I couldn't pick between them. I have been crushing on the pink/yellow combination this year (remember this quilt?) and adding red, aqua, and grey to the mix is just heaven. Fabric dreams, people! 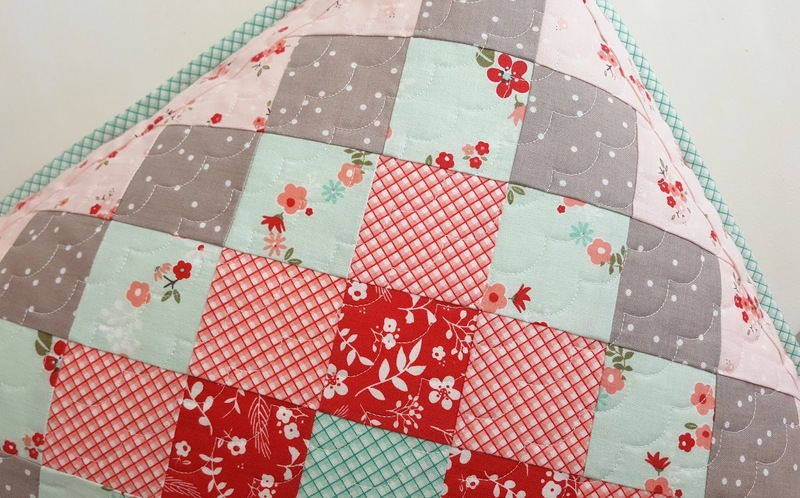 My very favorite prints are the small florals, the check/grid print, and the dots. Here is a quick pattern for how to make a great granny square if you've never made one before. It's one of my all-time favorite blocks to make. This will give you an 18" block (including borders). 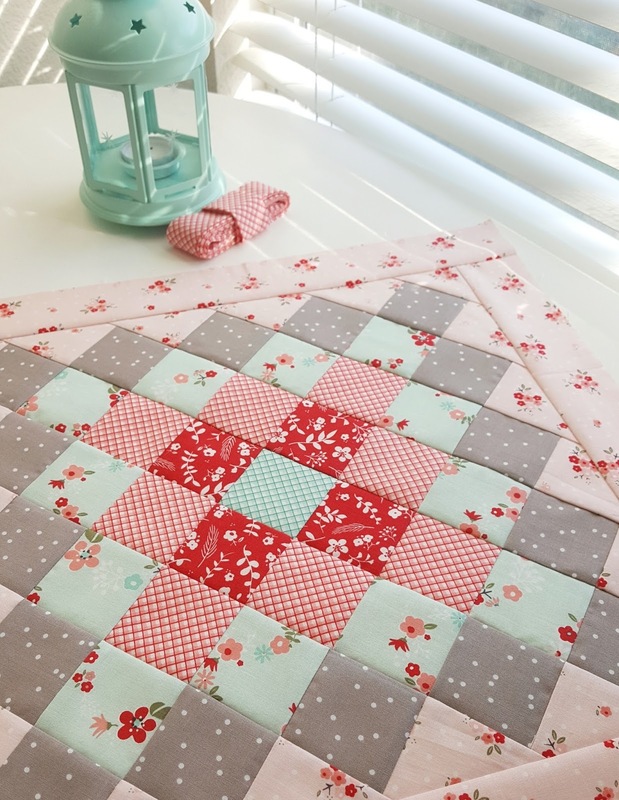 Sew pieces into diagonal rows, with 2.5" x 3" rectangles on the ends. Center the two end rectangles. Press seams alternate directions, and sew into rows, using nesting seams as a guide. Press rows away from center and trim off outer triangles 1/2" away from Row 4 points to 15" square. Sew 15" x 2.25" borders to each side, press out. Sew the 18.5" x 2.25" borders to top and bottom, press out again. Baste and quilt as desired. 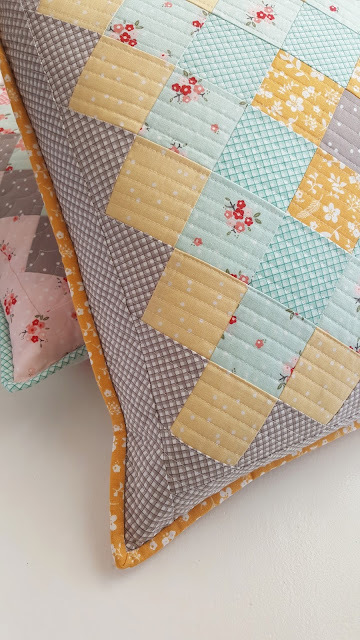 You can see how I sew zippers into the back of pillows here. I only do it this way when I plan on adding binding, otherwise, I sew in into the bottom seam between the two panels like this. Using the 2.5" strips, bind as you would a quilt. I quilted the pink one on my Husqvarna Opal with a scallop stitch, and the yellow one with straight lines on my Juki TL 2010Q. I love both machines for different reasons. If you're looking to add some of this beautiful fabric to your stash, StarlitQuilts is one of my favorite places to shop. This is not sponsored, I just always love her selection, prices, quick shipping, and extra treats! She's the best. Also, I buy 20" pillow inserts at IKEA and try to make all my pillow covers around 18" square like these ones. With this size and insert, you'll have the perfect amount of squishiness to your pillow. Plus, the price is right! Thank you Sedef and Riley Blake for letting me create with your beautiful fabric. It is wonderful as always! Be sure to check back each Thursday to see what other people made with this line. These gals are amazing and I'm so excited to find out! Alli! Pillows for the win!!! Completely adorable!! The pillows are so beautiful!! I should have included that information! I buy down inserts for $6 at IKEA, 20". They are the best! Hi, your pillows are just beautiful>neat work!Thanks for sharing! 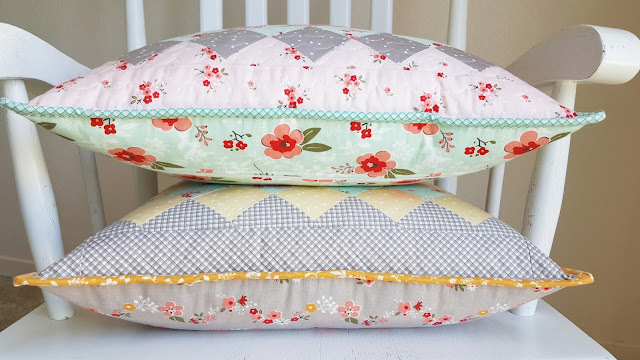 Love your pillows - the piping on the edges is lovely!!! Your pillows are just adorable! 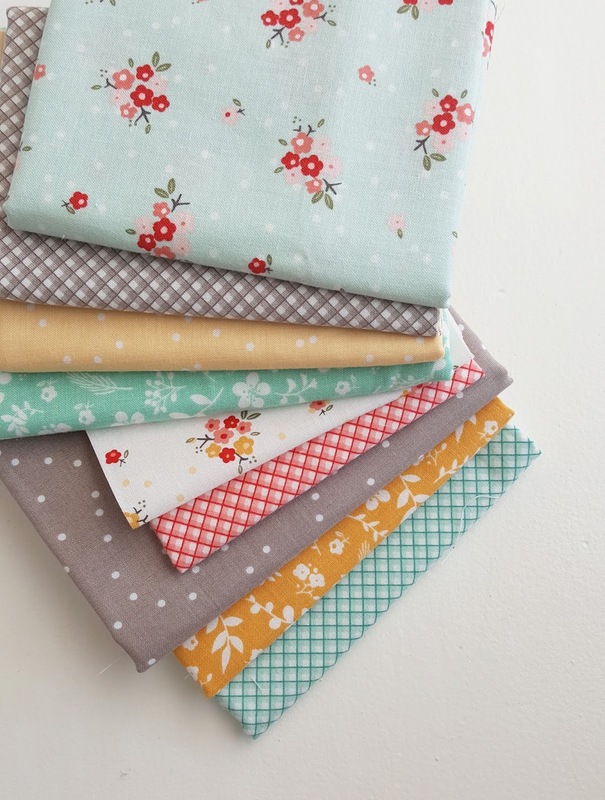 I love that fabric line...little flowers are my favorite too! Thank you so much for sharing your tutorial with us!